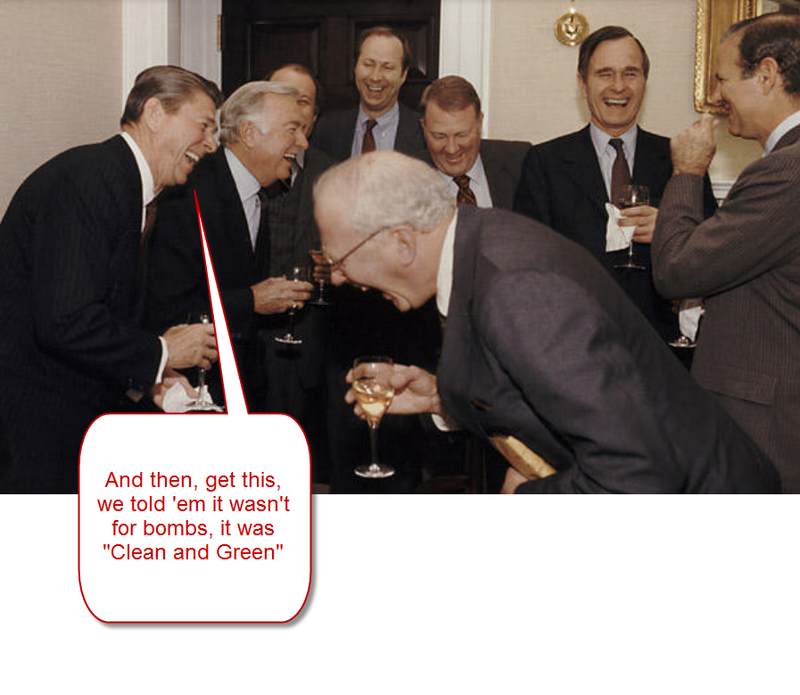 There is so much propaganda out there related to how cheap nuclear is. So what is a person to do? Who do you trust? 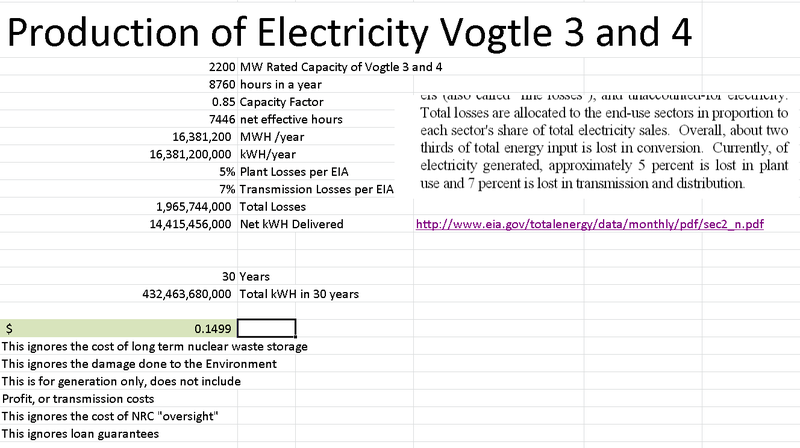 Well, below I do the relevant calculations based upon real data from Vogtle 3 and 4, currently under construction. And I'll show you the subcharts that feed into it. Then I will let you download the spreadsheet where you can get to the source data and actual calculations. You can modify the inputs if you wish, say give them a 90% capacity factor instead of the 85% that I used. Annual Production Cost, Using an Inflation Factor, But Neglecting Increased Maintenance Cost as Time Goes Forward. You know what to do. Shut them all down, Phase them out strategically. Alternate Calculation, Not sure how old this calculator is, and I am not sure if they are amortizing the cost of the plant into the calculation. But it's from a vested interest group and still comes up with a large number for electricity cost. When all "cradle to grave" cost are included, using Nuclear is far more expensive than using safe modern GREEN Solar (of all flavors). Because the Nuclear Industry is very powerful, they are now spending BIG money to get article that are positive to Nuclear printed in MSM. It is important to help promote the freedom of the Press by doing whatever you can to help keep the discussion balanced by sharing as many article as you can, if we all do this then there is no way that Big nuclear can downplay what is going on! Note: the comments that were posted, help explain not only how the ratepayers of southern California got stuck paying $5 Billion for the design mistakes of the San Onofre Nuclear Reactors Unit 2 and Unit 3, but even more important why the NRC is trying to cover this up, since it has safety implications for other Nuclear Reactors. The sooner we can shut down all Nuclear reactors the sooner we will be able to stop generating Nuclear Waste and make the Planet safer for future generations! I agree with CaptD, unless you just want to "feel good" and preach to the choir, we need to make a strong voice heard on all social media and news websites concerning the truth about nuclear. Its a bronto that refuses to just roll over and die. But it must go. "When all "cradle to grave" cost are included, using Nuclear is far more expensive than using safe modern GREEN Solar (of all flavors)." I don't understand that comment at all. Solar can Never function as a base load system and requires additional hot standby as well. Did you include all of that in your calculations? Let alone the generational plant replacement requirements coming in the next 20 - 50 years. Since coal is (at the moment) off the table, the only real answer is nuclear and lot's of it. We will be moving to 4 Gen plants very shortly, with much less cost and increased safety, much safer than even a hydro plant. So step back and really think about what you are saying. A latitude based energy system will just inflict untold pain and suffering to lower income people, especially in the North. That's a lie of nuke. There is plenty of diversity in the grid, you can crank up 35% to 50% solar without even having a hiccup or the need for storage. Wow -- sad to hear foo foo talk about "cradle to grave' costs when 250,000 years of nuke waste storage isn't included in his calculations (all of it generating enormous amounts of heat, btw). Nor are the medical costs of accidents, no doubt. It's all about the money and in the long term, nothing is more expensive than nuclear. Indeed Ace, the most expensive free lunch every conjured up. Thanks for you comment, but it's obvious you have not the slightest idea how a power utility operates. Germany is a prime example of alternative energy failure. Guess they don't have large spinning inertial disks (lubricate those lately)? ), underground pressurized caverns (whats the secret password? ), 10M+ car batteries (can you say lead poisoning?) and other solutions, which are possible, thankyou, BUT DO NOT EXIST!! foo foo, the reality is that grids with RE have a lot more diversity than ever I would have thought. So even the storage will be a real but much more minor problem than even I had predicted. Too bad for those "load following" nukes, LOL, get it? OK, here's an article on the costs and results of RE in Europe. "Summary: By 2014 European Union countries had invested approximately €1 trillion, €1000,000,000,000, in large scale Renewable Energy installations. This has provided a nameplate electrical generating capacity of about 216 Gigawatts, nominally about ~22% of the total European generation needs of about 1000 Gigawatts. The actual measured output by 2014 from data supplied by the Renewables Industry has been 38 Gigawatts or 3.8% of Europe’s electricity requirement, at a capacity factor of ~18% overall." Note that Germany is about 10 years ahead of the US in RE. The results have not been good at all. I generally like the site you reference, as they are typically climate realists. However, just like quoting a solar study from 2 years ago, and seems every 2 years is a quantum leap in terms of cost per kWH, quoting the cumulative total of solar investment is lumping in solar from 10 , 8,6,4,2 years ago. The reality is that the solar TODAY is far far better than that cumulative average. Rightto good chap, "Germany is about 10 years ahead of the US in RE. The results have not been good at all." ------and that is why Germany is the leading economic powerhouse of Europe and will just continue to accelerate as they reap the benefits of their investments. And that is why France is phasing out nuke quickly, and ramping up their solar....ya right. What excactly is wrong with posting 2014 data in 2015? Especially when it shows an EU RE capacity factor of 18% for an investment of $1T!!! Doesn't that cause any question in your mind as to what is happening? RE maybe OK for small remote economies (if you disregard the pain on low income people), but please, keep it away from anything which requires a reliable, cost efficient source of energy. And I don't just mean nukes, natural gas, hydro and yes, even coal can be just as clean, but so much more reliable than either solar or wind can ever be. It all has to do with the scale, RE just does not scale. Does not scale? What does that mean? Are you trying to say that REs don't produce affordable/cheaper electricity? They do. Are you saying that we don't have the materials or energy resources needed to create a 100% renewable grid? No problem here. Are you saying that because it took some upfront investment (early subsidy programs) that future installations will require the same level (or any level) of subsidies? They won't. I'm at a loss as to what you mean by "does not scale". Great question. Here's a paper which studied the cost of doing 100% solar in the US. Worth reading, I'm interested in what you think of the numbers used. "If you do solar, you must do 100% solar and provide backup systems for the solar only, you cannot utilize diversity of energy sources and uses"
Well, think of it as applying limit theory to the problem. That question can provide some useful information. There is a LOT of information in that article as well as the attached links. It's not just solar, but energy derived from things which are considered RE on a human time scale just cannot be compared to that which has become available over geological time scales. Here is where we get into a discussion of thermodynamics and entropy. I disagree, and the answers are already unfolding in Germany, Spain. with huge penetrations of solar and wind, they find the grid well suited to take it, and the diversity quite great. With an MSME in thermal fluids, glad to talk about thermo and entropy, as they apply on a practical scale on the earth now. but your comment quoted below seems vague and worse than just vauge, please explain in detail. I think humans have less than 100 years on this planet, so consider that in your reply if any. "It's not just solar, but energy derived from things which are considered RE on a human time scale just cannot be compared to that which has become available over geological time scales." OK, here';s a more middle of the road article on what's happening in Germany. "the lessons learned in Europe prove that the large-scale integration of renewable power does not provide net savings to consumers, but rather a net increase in costs to consumers and other stakeholders. Moreover, when not properly assessed in advance, the rapid, large scale integration of renewables into the power system will ultimately lead to disequilibrium in power markets, as well as value destruction to renewable companies, utilities, and their respective investors. The U.S. has the opportunity to incorporate these lessons learned to ensure the sustainable growth of renewable energy over the long-term, for the benefit of all customers." Places like Honduras pay 44 cents per kWH, Samoa worse. Solar at 3 to 9 cents can't work there? I'm talking about providing the same level of service and reliability which we enjoy in the developed world. That requires an infrastructure to support the jobs which makes the lifestyle affordable. That lifestyle also encourages a smaller population and greater care for the environment. That does not happen for 3 to 9 cents per kWH. Maybe the basic installation, but certainly NOT the infrastructure. I'm not interesting in reading what Watts has to say. That's like looking to Trump for lessons in good manners. First, no one (except for small remote islands) will go 100% solar. If someone uses 100% solar as a way to talk about renewable energy then you can be sure that they are setting up a strawman argument. That said, for a large geographical area like the US Eastern or Western grids it would likely be cheaper to build a 100% solar grid than a 100% nuclear grid. 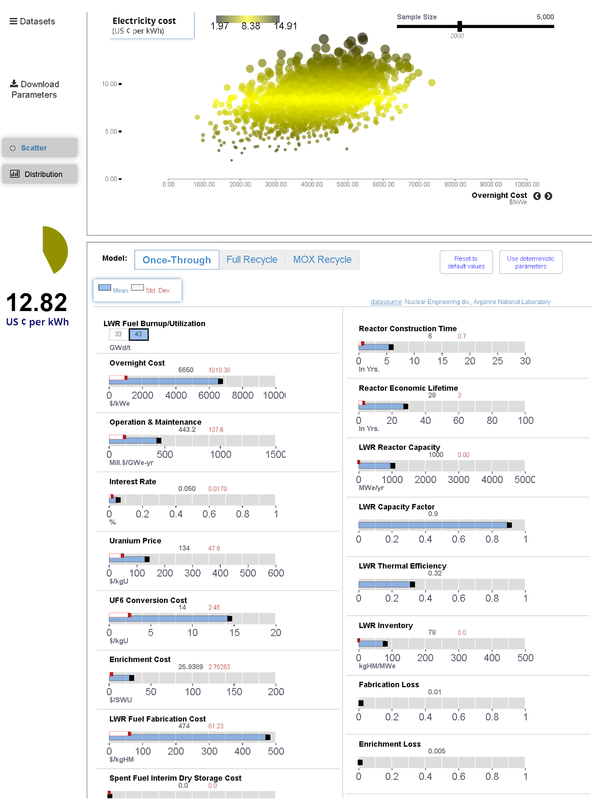 New nuclear is more than 12.5c/kWh. That's the least expensive contract/bid/delivered price I can find in Europe and North America. Both 100% solar and 100% nuclear grids would require a large amount of storage to match demand. The least expensive short/long time storage right now is pump-up hydro at about 5c/kWh. ""the lessons learned in Europe prove that the large-scale integration of renewable power does not provide net savings to consumers, but rather a net increase in costs to consumers and other stakeholders"
That claim from an anti-wind site is false. Since Germany began installing renewables on their grid their wholesale and industrial electricity costs have been falling. High retail electricity prices are created by large tax burdens not charged to industry. "The study – available as a PDF in German – comes to a number of pleasant conclusions for proponents of renewables. For instance, the researchers found that Germany might have suffered blackouts in 2013 if less renewable capacity had been added. On 269 hours that year, Germany would have needed to resort to its strategic reserve and begin importing electricity to prevent a blackout. In reality, Germany only used its winter reserve once in 2013, and the country posted a record level of net power exports that year. In 2014, the winter reserve was only used on December 20 and 22. What’s more, the cost impact of renewables in Germany (the renewable energy surcharge or EEG-Umlage) amounted to 20.4 billion euros, but the researchers found that this investment offset some 31.6 billion euros in conventional electricity – a whopping 50 percent return approximately." If you doubt the information in the quote above then go directly to the Eurostat site and check German industrial electricity prices and retail electricity prices with and without taxes added. If you're going to get your information from Watts and Wind-Watch then you're going to fill your head with junk. "I'm talking about providing the same level of service and reliability which we enjoy in the developed world. That requires an infrastructure to support the jobs which makes the lifestyle affordable." For developing countries without an established grid and a somewhat dispersed population it's likely to be cheaper to go with renewables than with large central power plants. Villages and towns can be set up as "micro-grids", sharing solar, wind, small hydro, storage and backup without the cost of installing transmission lines. What is making big sense for homes and businesses that are not connected to the grid and not close to villages is micro-solar. For monthly payments a bit cheaper than what households typically pay for kerosene, battery and candle lighting they can purchase a simple solar system that gives them LED lights and can charge a cell phone. After a year or two the system is paid off and they can enlarge to include a radio, B&W TV, laptop or whatever low draw device they might want. Later add a refer. You said "That claim from an anti-wind site is false." They are the $$ guys, don't forget. Don't be so quick to kneejerk dismiss knowledge based on where it appears to come from, without actually reading it. It just destroys your credibility. ""Over the last decade, well-intentioned policymakers in Germany and other European countries created renewable energy policies with generous subsidies that have slowly revealed themselves to be unsustainable, resulting in profound, unintended consequences for all industry stakeholders. While these policies have created an impressive roll-out of renewable energy resources, they have also clearly generated disequilibrium in the power markets, resulting in significant increases in energy prices, as well as value destruction for all stakeholders: consumers, renewable companies, electric utilities, financial institutions, and investors."" 1) "Germany and other European countries created renewable energy policies with generous subsidies that have slowly revealed themselves to be unsustainable, resulting in profound, unintended consequences for all industry stake"
That is true. Germany and Spain set FiT programs which were designed to kickstart solar industries. They set the payment for electricity fed back into the grid high enough so that end-users would be attracted by the profit that could be made and start installing. And install they did. As they installed competition for the business quickly brought down prices and profits grew. That caused even more people to jump in an start installing solar. Here's the mistake the German and Spanish governments made. They failed to build in a mechanism to lower the FiT as system costs dropped. Because they had been shortsighted in their planning they ended up spending more on subsidies than they had expected. It wasn't sustainable, by (accidental) design. That is not in dispute. Their subsidy program worked too well. 2) " resulting in profound, unintended consequences for all industry stakeholders"
True. Lack of a ratcheting down system or a cap on installations brought a lot of solar on line very quickly. And that disrupted the "old way". The subsidy program did exactly what it was intended to do. It rapidly transformed a lot of generation from fossil fuels to renewables. 3) "While these policies have created an impressive roll-out of renewable energy resources, they have also clearly generated disequilibrium in the power markets...."
Boy, Howdy! Disequilibrium in the power markets is exactly what we need. We need fossil fuels kicked to the curb. 4) " resulting in significant increases in energy prices, as well as value destruction for all stakeholders: consumers, renewable companies, electric utilities, financial institutions,...."
That first phrase is incorrect. The wholesale cost of electricity has dropped in Germany. Significantly. Prices for retail customers have gone up a bit because all the subsidies were piled up on their rates. Industry has enjoyed dropping electricity prices and have been required to pay none of the subsidy costs. German industrial electricity costs are now lower than the EU27 average. And, yes, there has been "value destruction" for stakeholders. Those people invested in coal and coal plants are losing their shorts. Same thing is happening in the US. Coal stocks have dropped over 50% during the last couple of years while the over market has been doing very well. A large number of US coal mines are now bankrupt. BTW, the Finadvice report does report that wholesale electricity prices have dropped in Germany. I guess they could figure out how to spin that. Here's a couple other things the report covers. 1) Renewable capacity did not translate into substantial displacements of thermal capacity. That is not true. Germany generated about 27% of its electricity from renewables in 2014. That's 27% that would have otherwise been generated with fossil fuels. Germany used a record low amount of fossil fuel for electricity in 2014. 2) Large-scale investments are required to expand transmission grids. That's true. As the world moves to renewables we will be expanding our transmission grids. We're moving away from large, centrally located thermal plants to mainly wind and solar. It works best with wind and solar to spread the harvest area around and harvest wind/solar where it is most available. That will mean some new transmission, but the overall cost will be less than replacing worn out coal plants with new coal plants or worn out nuclear plants with new nuclear plants. Thanks for your reply. It seems that it is worth watching other countries as they try the RE route, even though geographically and politically different, there are some underlying basics which are worth noting. The value destruction is NOT a good thing, it never is. That means that useful capital has been evaporated. Maybe it was misplaced, but nowadays, it should have been readjusted for more attractive returns. If you are concerned about diminishing resources, especially something as useful as fossil fuels, then the concept of investment risk needs to be re-evaluated. Just think, social programs are always readjusted for more attractive political returns. Unfortunately, there does not seem to be any physical evidence for RE to supply more than ~50% of the advanced civilization's energy at this time, unless there is some unexpected breakthrough in the battery paradigm. UPDATE (adds 2015 data) – 2015 marks the first time consumers paid less for electricity in over a decade, with prices easing around 1 percent for an average household of three. Despite the fact that they still pay among the highest per-unit rates in Europe, Germans' support for the Energiewende – the shift to a low-carbon economy – is strong. This is partly because electricity spending as a share of disposable income has remained steady for years. Continued relief in retail prices depends on whether power companies pass savings from lower wholesale prices to consumers, and whether the surcharge levied to fund the Energiewende falls again next year. In any case, a clear downward trend in prices is far from certain. Value destruction is side effect of progress. Digital destroyed the value of Kodak film. Computers destroyed the value of typewriter companies. Henry's Model T destroyed the value of buggy makers. Bronze tips destroyed the value of flint knapping. While fossil fuels are valuable, have been valuable in the past, they are also very destructive and we must quit using them as quickly as possible. ", there does not seem to be any physical evidence for RE to supply more than ~50% of the advanced civilization's energy at this time, unless there is some unexpected breakthrough in the battery paradigm"
Wrong. If we have no further advancement with batteries we could create all the storage we need at an affordable price with pump-up hydro. 100 year old, proven technology and no shortage of places to install. "Continued relief in retail prices depends on whether power companies pass savings from lower wholesale prices to consumers, and whether the surcharge levied to fund the Energiewende falls again next year. In any case, a clear downward trend in prices is far from certain." German subsidies (FiT) are time limited. Within a few years the earliest participates will start aging out. The high retail cost of electricity is due to taxes and some of those taxes are used for covering the subsidy. So 8 + 6.5 or 14.5 euro cents go to electricity purchase and delivery. About 19 US cents. That's higher than the US 12.5 cent average, but less than a penny higher than New York and Connecticut. Whether or not it is related to energy is irrelevant at this point. Have you ever seen a government repeal a tax in the few years? It doesn't matter anymore, they are broke, they need the revenue. Any excuse will do. The camel has it's nose in the tent. and by 2013 were 29 eurocent/kWh, a 108% increase in 3 years!!! I don't know where you got the 13.94 for 2010. Eurostat ("The" European official database) states 23.74 for the first half of 2010 in Germany. 29.74 for the last half of 2014. The base price (price with no taxes or levies) of retail electricity for 2010 was 13.81. I wonder if someone made a 'little mistake"? Yes, that's comparing the base price to the total price. Was off by 10 years!! In 2000, when the Feed-in Act was introduced, Germans paid only 13.94 cents per kilowatt-hour, which at the time had hardly changed since German reunification in 1991. After the liberalization of the power market in 1998, the price of power even dropped some. Today, in 2014, the price is now 29.21 cents per kilowatt-hour, i.e. it has more than doubled in 14 years. The cost-driver is the EEG Feed-in Act surcharge, which has risen from 0.41 cents in 2003 to 6.24 cents today. It represents 22% of the cost of a kilowatt-hour. Because of the expansion of renewable energies and because they must be bought first by the power companies, the conventional power plants no longer operate at full-capacity. If the wind blows briskly and the sun is shining, then the conventional power plants must reduce their production. And when the wind dies down and the sun doesn’t shine, then the conventional power production must ramp up again. As a result the capacity utilization and the output of the conventional power plants is substantially reduced and generation becomes inefficient and more costly. A businessman who is only allowed to sell when the weather is bad of course cannot earn anything and would soon go bankrupt. The very same is true today with conventional power in Germany. Moreover, the situation is getting worse as renewable energy continues to expand. Conventional power plants have since become so uneconomical that power plant operators prefer not to build any new ones and to switch off the old ones. New plants are no longer being planned and old power plants are being left on because the federal government has made it illegal to shut them down in attempt to keep the supply intact. Naturally all the added costs ultimately have to be borne by the power consumer. 13.94 in 2000. 29.21 in 2014. That's a difference of 15.27.
" The cost-driver is the EEG Feed-in Act surcharge, which has risen from 0.41 cents in 2003 to 6.24 cents today." See anything wrong with that statement? The Feed-in Act surcharge is 6.24 of the 15.27 e-cent difference. 41% of the difference. How can that be THE cost-driver when it represents less than half of the increase. And where is the credit given to renewables for lowering the wholesale cost of electricity over that period? No Trick Zone? I'd say Big Fat Liar Zone. And we're crying big crocodile tears because the coal industry is failing? I guess that makes sense if you're a climate change denier site and are trying to attack renewables. What is "Very much like the Stanford study predicted"? As far as I can tell that slide stack contained little in the way of prediction. It just illustrates the rather obvious. If we manufacture solar at rapidly accelerating rates we could start using more energy than solar panels currently make. And then over a few years that energy would be paid back. I'm guessing that it's from some undergraduate seminar. Foo foo: Let's see, the Germans spent $1T on 38GW net capacity using 10 year old technology for RE. Nuclear will spend $20G for 1GW net capacity using brand new technology. Hmmm... RE is starting to sound pretty good. You used 4% for Vogtle financing. I've read that Vogtle received 0% financing for the first year while the loan guarantee was put into place and 2% after that. Those rates would drop the cost to about 13 c/kWh. Also keep in mind, loan guarantees by the US taxpayer also have a "cost", just like the mortgage insurance I used to have to pay on my townhouse in Hawaii. I fully understand that loan guarantees mean taxpayers accepting risk. And risk has a cost. The lower financing rates I saw were, IIRC, in a Citigroup whitepaper which I was able to read but not copy. Citigroup, at that time, calculated a LCOE of 11c/kWh for the new Vogtle reactors. I recall a 0% rate for the first year (DOE loan) and a 2% rate until completion but don't rely on that. I can't back it up with a link or source. After Citigroup calculated their LCOE Southern Company announced an additional two year delay at $2 million per day. I estimate that will take the 11c cost to about 13c/kWh. "would you give your money to Vogtle for less than 4% considering that it may never go critical? " If the reactors don't go critical then taxpayers refund the loaned money. There's no apparent risk for those making the construction loans. Given the very low interest rates at the time of the loans and even current rates a fully underwritten loan probably wouldn't command a 4% rate. I'd suggest calculating the LCOE with both 2% and 4% and present a range of kWh prices. I wonder if big Gov would issue loan guarantees if it came directly out of their pension fund? Bob: Good point. I'd also lower the estimated inflation rate. Markets are currently predicting inflation a lot lower than 3%. You need some strong justification to show why you can out-guess the markets. Cesium the Day! I can out guess the markets. Printing tens of trillions of dollars will eventually drive inflation. It take a while, but there is no option. Also running a "company" with an annual overspending of 1T is the same as printing, so in a 17T economy that is over a 5% inflation rate just from government overspending. Currently, the deflationary depression that we have been in is masking the effects of the printing. Bob Wallace, thanks for slapping back the "true believers"of nuke. Some aren't trolls, they really believe that stuff they state. Can't blame some people for believing that nuclear is the answer. Nuclear could be the answer. If we built a mostly-nuclear grid we'd pay a lot more for electricity. Perhaps 3x as much. Instead of having about 20 metric tonnes of used fuel per year per reactor for 100 reactors (2,000 tonnes/yr) we'd have 20 tonnes x 500 reactors per year (10,000 tonnes/yr). We probably could engineer the risk of a nuclear disaster to be a lot lower than what they have been in the past but we shouldn't count on zero. Chances are decent that we'd melt one now and then. There are many people who are not told the cost or are misled by someone making claims about some future, unbuilt, unproven design costing less. They aren't told that the cost of nuclear has to drop to half or less of what it now is to be competitive. And there are people who are told that renewables "can't do the job" when that is clearly and easily demonstrated to be incorrect. As well, they aren't told the current very low cost of renewable energy. As long as they rely on nuclear advocacy sites for their information they will continue to be incorrect. Perhaps well intentioned, but incorrect. I blame them Bob, just as a blame myself for thinking it was great around 2005 for nuke to be seen as "green". I was in the "grand science" mode of thinking. Then I discovered how horribly they were being managed, run, and risk control, AND accident mitigation were just horrific. Most pro nukist are full of vitriol, at least those that comment online. Stock, if I send you a couple of graphs that demonstrate how German wholesale electricity prices have fallen would you post them? Perhaps foo foo might like to see what renewables have done to the price of electricity in Germany. Bob, not sure if you ever sent those graphs, send now and I will post them. I want to refresh this article into a new one. "Have you ever seen a government repeal a tax in the few years?" The German FiT charge that retail customers pay is time limited. It goes away as the FiT payments expire. It's not a "tax" but a cost recovery system. If the German government wanted to keep that money coming they would have to pass a new tax. What the basis for 30 year life, the AP1000 has a 60 year design life. Can you make the same cost comparision with solar, say the Ivanpah project in Ca and figure in capacity factor for salar (25%) vs nuclear (90%) and determine the recovery costs to the debt. Ivanpah, 377MW, 25% capacity factor, $2.2B, ($1.7B loan guarantee), 30 year design life. It appears that Vogtle will have to charge about $12/MW-hr to recoup the construction cost and Ivanpah will be about $100/MW-hr. Systems have an "economic" life, and 30 years is about the right number for most things. House electric systems, at 30 years, replace them, no matter what. I will be glad to review your economic work up of Ivanpah. Personally I think as R&D it is OK, as an attempt for a real world project, plain stupid. The difference between nuclear and solar is that solar has to step far outside the box to find a stupid system, nuclear only has to open the pandora box to show it is stupid, sorry I couldn't help it. I will look forward to your analysis. 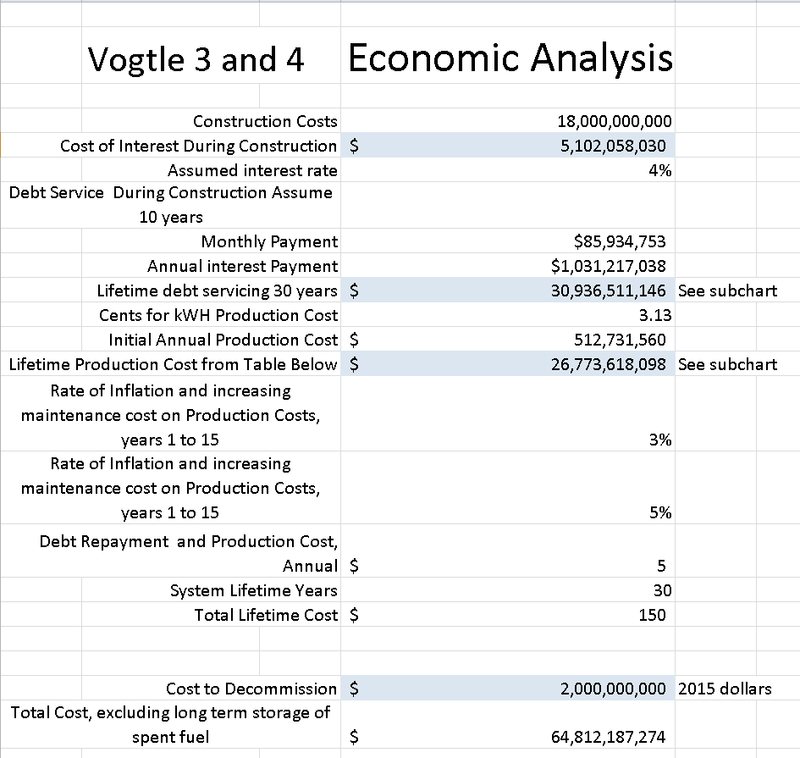 Citigroup estimated the LCOE for the Vogtle plants at 11 cents/ kWh if there were no further budget overruns. They also said that it is highly unlikely that future plants could reach that 11c price point because they wouldn't have access to the extremely low cost financing rate Vogtle received. After the Citigroup LCOE was released Vogtle was further delayed enough to add another 2 cents to their cost, making it 13c/kWh. I'm not sure we should try to make too much of Ivanpah's price Most new tech (and this is a first US build) starts very high, Prices can come down considerably with experience. Capacity factor is built into the LCOE of electricity. In your second sentence you seem to be wanting to add it in twice. Pricewise Vogtle is an outlier (very low financing rate). Bids since 2008, had the plants been built, would have meant electricity well over 15 cents/kWh. Realistically we shouldn't be looking at the cost of Ivanpah. It's highly unlikely that thermal solar without storage could ever compete with PV solar. PV solar (unsubsidized) is now about 6c/kWh in the US SW. It is expected to fall to about 2c/kWh in the sunny places and about 4c/kWh in the less sunny. Thermal solar, if it gets used, would likely only be used with storage. As a fill in for PV solar and wind. Nuclear can't compete with a combination of PV solar, wind and storage. If you would like I can flesh out those numbers for you. Let's be generous and give nuclear a 15 cent/kwh price for the first 30 years. Then assume normal operating costs of 2 cents/kWh (that fair?) for the next 30. Assume no refurbishing/major repair bills. Now we're averaging 8.5c/kWh. Assume a 25 year life for wind. Wind is currently selling for just under 4c/kWh on a 20 year PPA and has operating costs of about 1c/kWh after payoff. So 20 years at 4c + 5 years at 1c + 25 years at 4c + .... Let's be hard on wind and say 4c/kWh 60 years. Four cents which includes rebuilding the wind farm twice to stretch it out to 60. Solar is falling rapidly but let's go with the unsubsidized current price of ~6c/kWh. We don't know how long solar panels last. Our oldest panels are now about 40 years old and going strong. A solar farm built today and producing 6c power during the 20 year payoff is likely to run another 20 years at 1c/kWh. Assume the worst, rip out the solar farm at age 30 and build a new one. Now we're at at about 4.5c/kWh over a 60 year span. Nuclear 8.5c/kWh. Assuming no major repairs. And that's a subsidized price. PV solar. 4.5c.kWh. No subsidies. The price of wind is expected to continue to fall, to move somewhere below 3c/kWh. The price of PV solar is expected to fall to 2c (sunny places) to 4c (less sunny places). 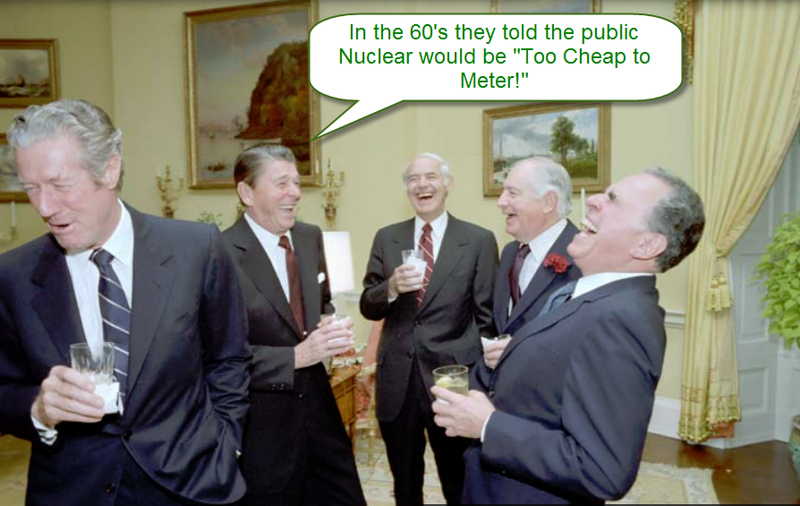 Nuclear has never seen a price decrease. The 8.5c - 4c gap is fairly sure to widen. @ Bob great comment man, keep them coming. Funny how you just can't convince the "true believers" seems like only 1 person out of 10 has the capacity to change their mind. Bob: Love your numbers and don't want to be a troll, but I'm curious as to whether you see a discrepancy between your numbers and the EIA LCOE estimates, and, if so, how you would account for those discrepancies. g'luck. Nothing troll-like in your question. In short, whoever does the EIA predictions is a long term crack smoker. They have continued to predict rising prices for wind and solar as prices continue to fall. This goes back a few years. Wind = $0.0235/kWh average 2014 PPA (subsidized). DOE "2014 Wind Technologies Market Report"
Solar = $0.05/kWh PPAs (subsidized) being signed in the US Southwest. Working backwards through a LCOE calculation extrapolates a cost of about $0.02 higher for the less sunny Northeast. PPA prices for wind and solar are lowered about 1.5 cents by PTC (Production Tax Credits). Both wind and solar are eligible for 2.3 cent/kWh tax credits for each kWh produced during their first ten years of operation. Half of 2.3 is 1.15, but getting one's money early has value. That means that the non-subsidized costs of wind are a bit under 4 cents and solar is running 6.5 to 8.5 cents/kWh. Now, back to the EIA prediction (fantasy building) office. They are predicting either 32% or 34% of our electricity will come from coal in 2040 (depending on which report you read). They've made that prediction knowing that 1) coal's market share has been dropping since the late 1990s and was down to 33.2% in 2015, 2) we have about 25% of our coal plants scheduled to close very soon, and 3) the US has quit building coal plants. Let me give you a link to an article dealing with other crackadoodle EIA predictions. SALUTE to both Bob and Stock for yet another GREAT discussion with enough factual info that the rest of US can learn how the cost of Nuclear compares with the cost of both PV and Wind. CaptD, TY for all your efforts, someday I will shake your hand.